With Ruck US we spotted a need in the Rucking community for Ruck equipment at a better value and with customization. 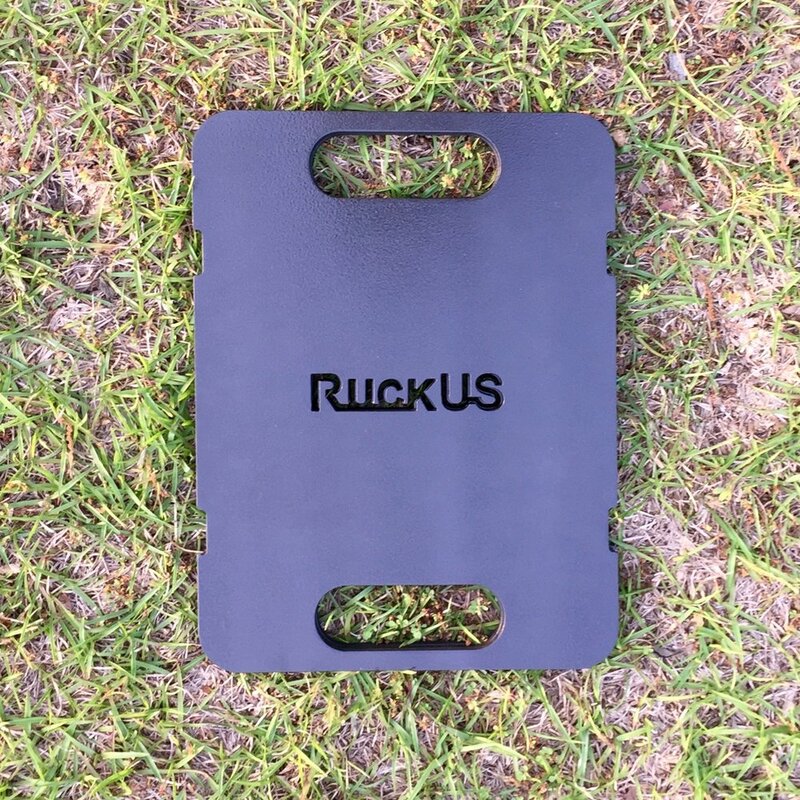 Ruck US Plates are the first in hopefully a line of equipment we plan to offer. We plan to do business different, with a goal to increase value and quality. Our Ruck US plate kits introduce a complete change to the Ruck Plate industry. Ruck US Plates feature adjustable weight in 10 pound segments all secured with MIL-SPEC straps. One Ruck US Plate kit will include 30 pounds of weight and 2 straps with the option to add more weight. Each plate is designed in house using advanced CAD programming, made from US sourced 1/4" thick A36 low carbon structural steel plate, cut with a computer numerical controlled plasma cutter at our facility, and finished with a hard enamel paint. Unlike other companies who use cast iron, our plates are denser (takes up less space), more elastic (won't chip or crack), triple in strength-to-weight ratio, and 141 times higher in ultimate resilience. Our straps are sewn in house using MIL-SPEC 4,000+ pound strength Nylon webbing with ballistic nylon thread. Feel free to contact us at any time with questions, concerns, or suggestions. Feel secure in knowing the same people that make your Ruck US Plates will be responding to your inquiries. Visit our Facebook and Instagram pages for new products and specials!